Personalized Journals make great gifts for co-workers, mother’s day, teachers or even your bridal party! 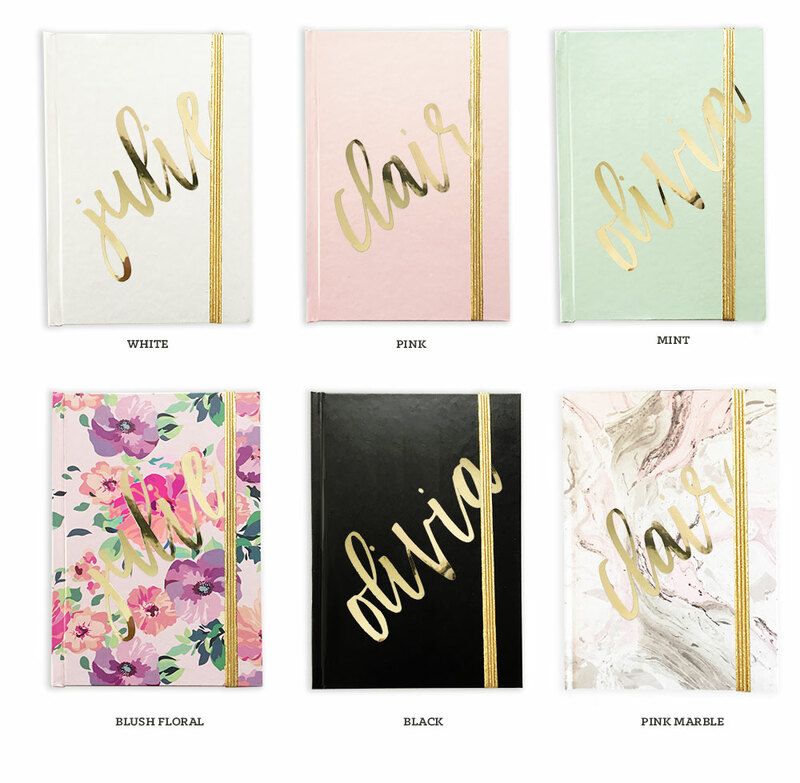 Each journal is personalized with a metallic gold vinyl name and is available in white, pink, mint, blush floral, black or pink marble. A gold elastic is included – notebooks have 80 lined white pages.